In the Islamic world, starting from al-Kindī (d. 874), Al-Farabi (d. 950), Ibn Sina (d.1034), and Safī al-Dīn al-Urmawī (d. 1294) used the abjad notation to write music. Of these writers the most systematic one is Al-Urmawī. 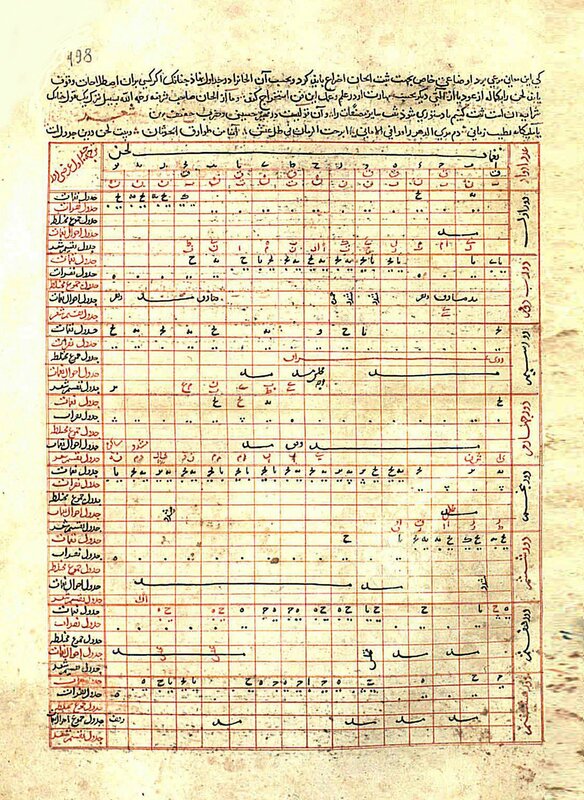 Whilst other music writers showed musical index with the abjad letter notation, al-Urmawī created music with and without lyrics with the abjad notes. Qutb al-Dīn Al-Shirāzī, from the subsequent generation after Al-Urmawī, introduced innovations in the abjad notation. In our study, we will analyse the essence of these innovations and show that the inspiration of Al-Shirāzī in his musical works was based on the sound rules in reading the Qurān (tajwīd). This entry was posted on Friday, August 30th, 2013 at 13:37	and tagged with Assoc. Prof., cytopicus, Department of Music Kayseri-Turkey, Faculty of Fine Arts, Fazlı ARSLAN, Fazlı ARSLAN Assoc. Prof., Qutb Al-Dīn al-Shirāzī’s Music Notation, ram51 and posted in Oriental Studies on Alpha-numeric Representations of Music. You can follow any responses to this entry through the RSS 2.0 feed.